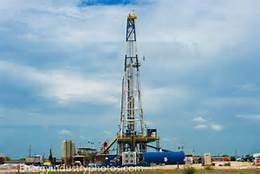 Devon Energy’s spacing pilots in Kingfisher county have produced yet another large well. This one in the Pump House plot is in the upper Meramec of southwest Kingfisher County. The well produced 1,355 barrels of oil daily along with 6,450 Mcf of gas. It is located about 2 miles southeast of the Chisholm Trail Technology center at 32 16N 9W in the county. Details are available at OK Energy Today’s Completion Reports. The STACK well was one of seven tested in a single interval as part of the Pump House project. Devon announced the start of the Pump House testing last year. The Pump House testing announcement came as Devon revealed the successful Alma spacing pilot and a record-setting oil well, also in the upper Meramec. The well delivered 30-day production rates averaging 1,400 oil-equivalent per day of which 60 percent was light crude. The Alma spacing pilot tested five wells per section, each with 5,000-foot laterals. The Pump House test was part of Devon’s plans to optimize development in 2017 and resulted in full-field development.